Candy Kirby Designs are all about bright, beautiful color and fun textile graphics. The Seattle-based company is also committed to local manufacturing and using organic cotton whenever possible. Their range of hand-finished dolls are big on details and personality, so read on to meet a few of these little cuties that are destined to become your child's treasured friend! Erin Mercado is the design powerhouse behind Candy Kirby Designs. She’s also the owner of the company and manages to fit running her business and designing new products and textile patterns around raising her three young children, all from her home office. Mercado’s range of products include children’s clothing, baby blankets, homewares and toys. 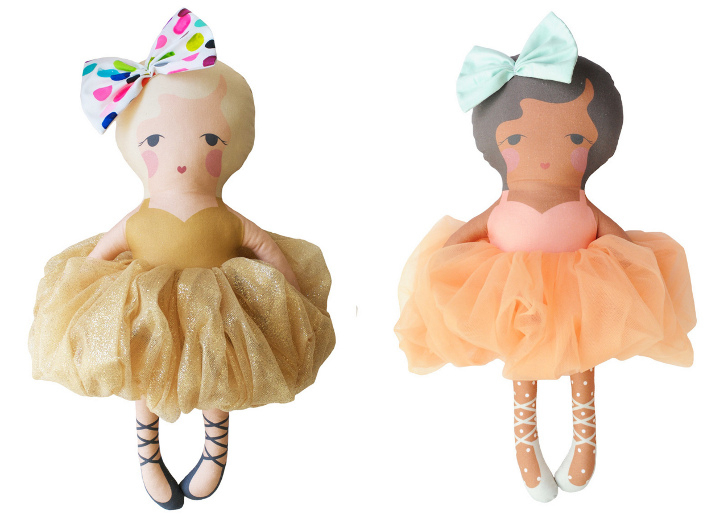 There are currently 42 doll designs in Candy Kirby Designs’ range, each with their own name and charming backstory. 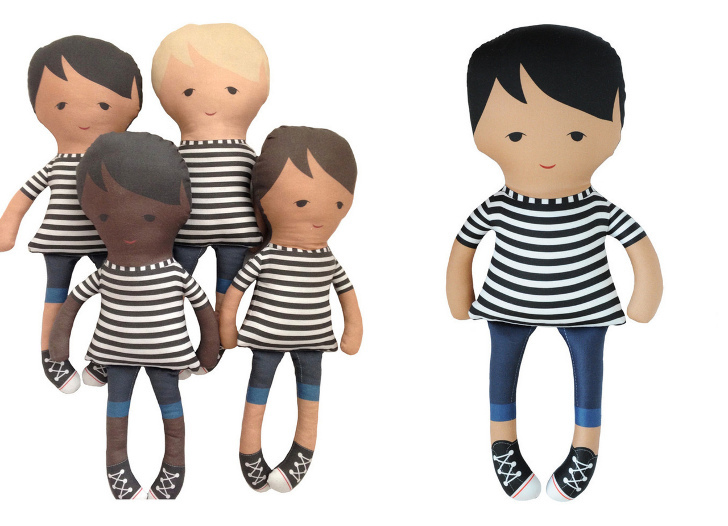 Many production runs sell out fast, so there’s sometimes a wait for a restock, especially since there are so many hand-finished details—these dolls are made with love! Mercado is determined to use organic cotton fabrics across her product range whenever possible, and is transitioning her dolls over to an organic cotton sateeen fabric, which she says is the best fabric Candy Kirby Designs has had to date. All of Candy Kirby Designs’ products are printed with water-based, non-toxic inks too. Each doll is a substantial 18 inches high. Designs include a rainbow of ballerina dolls, as well as some cute and punkish designs and four boy dolls. Most dolls retail for $64–$66 each, with the boys retailing for $48 and a few designs currently on sale as well. All US orders ship for under $5 too! Erin Mercado is the design powerhouse behind Candy Kirby Designs. She's also the owner of the company and manages to fit running her business and designing new products and textile patterns around raising her three young children, all from her home office. Mercado's range of products include children's clothing, homewares and toys. The perfect bright and cheery companion for all your kiddo's adventures. 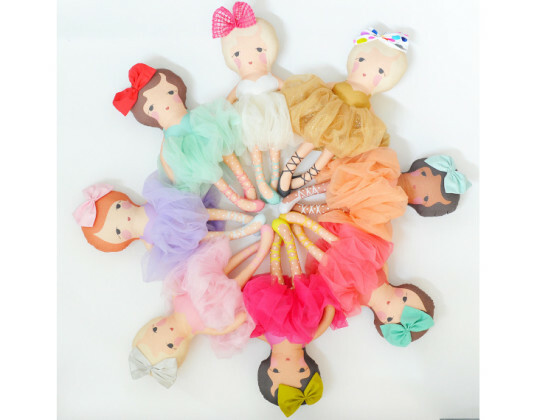 Each doll is a substantial 18 inches high and designs include a rainbow of ballerina dolls. Gillian and Penny have a punkish vibe. They boys: Todd, Graham, James and Smith.